If you are a Spotify premium user, you are probably quite used to the spotify app’s user interface, whether it is mobile or on computer. 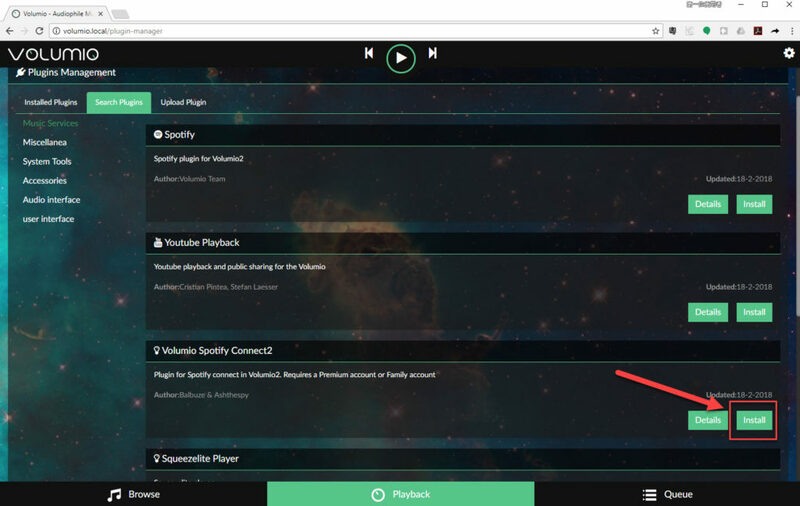 NanoSound and Volumio now seemlessly support spotify connect with artist and album display on Volumio’s web interface and Nanosound DAC OLED display. 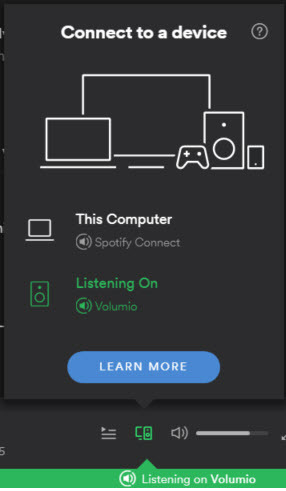 The idea is to control using Spotify App / Web interface and play on Volumio, so that you can enjoy Spotify audio in your HiFi connected to your Volumio. If you are using NanoSound DAC, upgrade NanoSound plug-in to 1.4.2 or above by uninstalling and installing the plug-in again. NanoSound DAC’s display also supports showing the song and artist names played via Spotify Connect. NanoSound is an Hi-Fi Audio series developed by Nanomesher. 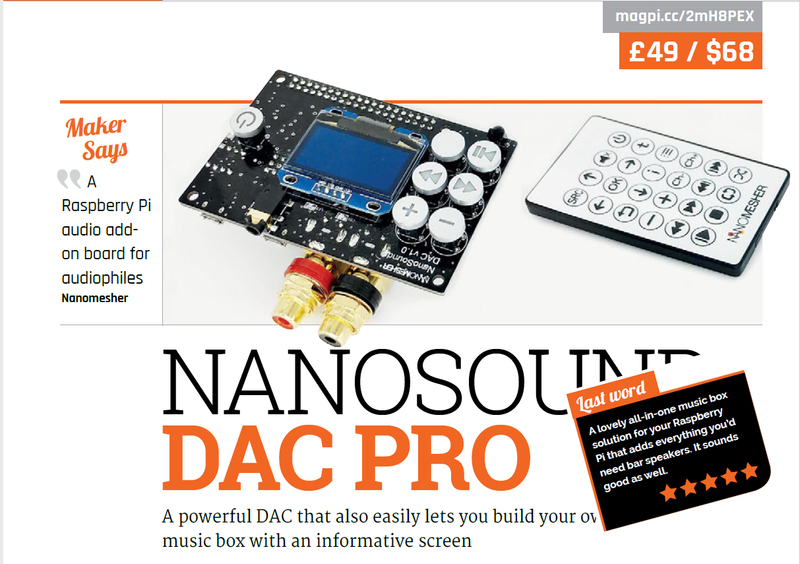 Leveraging on Raspberry Pi ( a credit card sized single board computer) and IOT (Internet of things) technologies, NanoSound achieves very high quality sound with plenty of advanced features and maximum convenience. 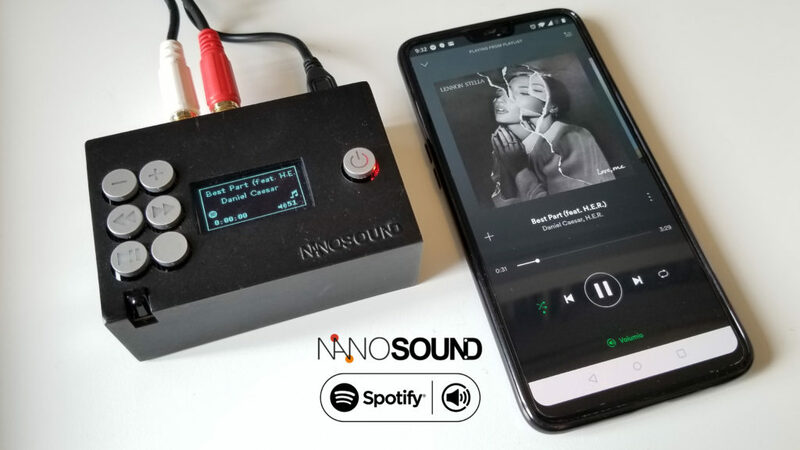 NanoSound products such as NanoSound DAC were successfully funded and delivered via kickstarter in Sept 2017 and is now being sold in more than 13 resellers around the world. We are also an official partner of Volumio – The Open Audiophile Music Player software with bit perfect playback.